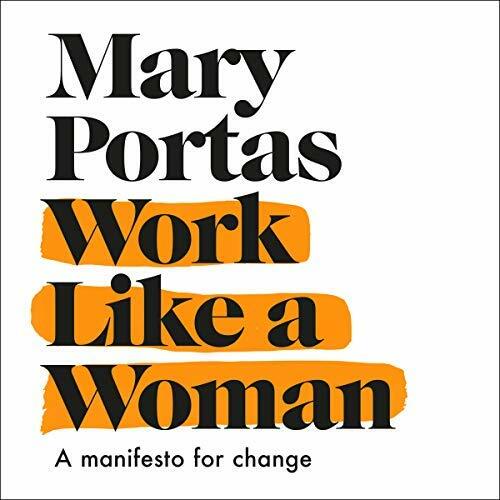 Work Like A Woman is Mary Portas’ manifesto for change in the way we look at how our places of work are run. Mary and I swapped books a little before Xmas, and I’ve just emerged from her bracing account of what she’s learnt from a somewhat unusual life. I say ‘bracing’ but I did also feel as if I needed a short lie down after finishing it. The manifesto itself comes at the end and is tailored for different age groups. Her proposals make eminent sense to me, and my daughters will be getting copies of the sections for their respective decades. They are stuffed with challenging and yet manageable ideas (the proposals, not my daughters – though actually the latter match up ok). But in a way I found an earlier passage more thought-provoking (p118-9 for those just browsing the book). In it Mary summarises that characteristics she values as a woman and has sought to weave into the way she and her company work. Legacy over status – long-term achievements not short-term victories. Imagine if these were taken seriously across the board. Sure, they need to be interpreted according to context (just as the Paula Principle factors need to be applied contextually), but you can easily see how if these were truly applied, at all levels, there would be transformation in the way organisations are managed and services supplied. To say nothing of how the country might be governed…. There’s one item I want to query. Mary includes ‘life ambition’ in her list. This follows from an earlier discussion of hers about getting away from the image of a linear ladder of power. I wholeheartedly concur with that aim, and we’re both looking for a better image or metaphor for success. It’s clear that getting overall balance between paid employment and other activities is central to this, setting one’s own priorities rather than clambering up whatever rungs are in front of you. But I’m not sure ‘life ambition’ captures this appropriately (just as my attempt with ‘mosaic career’ comes up short). Maybe it’s just that I can’t mentally detach the notion of ‘ambition’ from exactly the kind of egoist drive that Mary objects to (cf her Lady Macbeth allusion). So there’s still an opening for a better term to describe that attitude which combines determination to make the best use of one’s talents and to make a difference with a rejection of externally imposed norms about progression and success. Answers could be on a postcard, but an email will also do.